Hi! I'm Caitlin (that's me in the photo below) and I am one half of Big Paw Little Paw! You'll meet the other half, Liz, a little bit later. Liz and I are beginning a very exciting new adventure and taking a dive into the world of pet portraits! 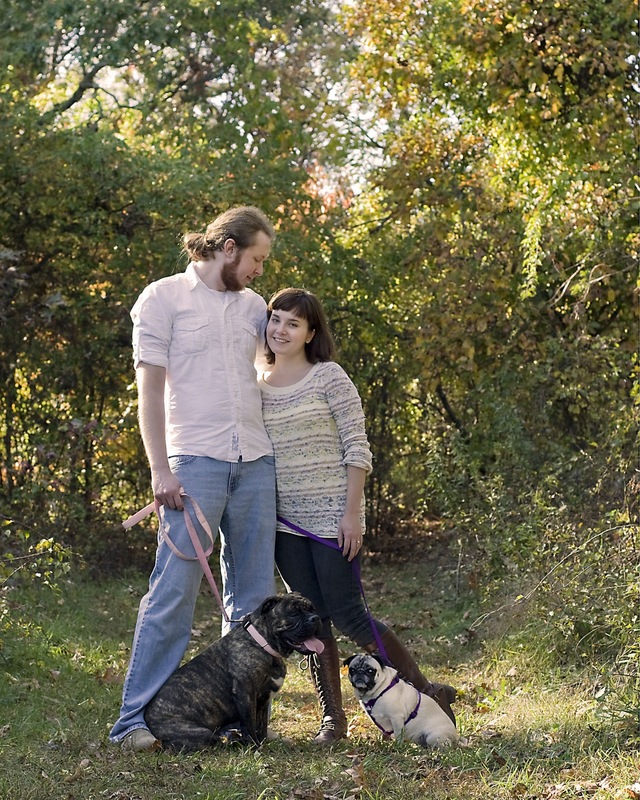 The picture below (that Liz took a few weeks back at Kinder Park in Severna Park, MD) is of myself, my lovely fiance Justin and our girls, Lola (the pug), and Grizelda (or Grizzie, for short, an olde english bulldogge that we adopted from the AA County SPCA in July). Liz and I both adore our dogs, to the point that we BOTH have our dog's names tattooed on our arms. Maybe a little bit crazy, but it's true love! You'll be seeing a lot of my girls (and my feline boys, Loki and Moshi), as well as Liz's big baby whom you'll also meet soon. So stay tuned! Big Paw Little Paw by Caitlin Smith and Elizabeth Rodenhizer copyright 2011. Watermark theme. Powered by Blogger.